We offer over one hundred different models of manual wheelchairs that cater to many different conditions that a user may have. Our manual wheelchairs includes a large selection of high quality chairs that are highly competitive in price. We carry many different categories of wheelchairs, depending on your condition you can find one that best fits your lifestyle. We provide transport wheelchairs, standard wheelchairs, lightweight wheelchairs, ultra lightweight wheelchairs, ergonomic wheelchairs and many others. Manual Wheelchairs are the type of device that a person must move themselves without the assistance of a battery. You can choose from self-propel, which requires the user to propel with the use of their limbs, and companion propelled, which means that you must have a person to push you. We believe that through our website, users will be able to find the best manual wheelchair available for their specific needs. To select the right wheelchair, you should research and decide which category, model, and price point is suited for your lifestyle and condition. Depending on your decision, you may choose a chair that has large rear wheels, which are usually self-propelled; if you have a caretaker or you are currently a caregiver, you may prefer the small rear wheel version of the wheelchair, which also includes companion handles. We want to help you to find the best wheelchair. That is our commitment to you. Find out what we can do for you. Contact us today! Manual wheelchairs have different features that allow the equipment to be suitable for the end user. There are variations on these features and reasons why each variation is important to each user. When prescribing a mobility product, there are many decisions that have to be made in order to select the right chair. Mobility users must understand how each decision will affect other features. Having the right product information is important. What is the best feature for me? At Karman we believe that comfort is important. The most comfortable chairs we provide are our Ergonomic Wheelchairs. With proper ergonomics and a good seat cushion, you will enjoy the wheelchair for life. There are other features that are important to keep in mind when you are purchasing a wheelchair. Please contact a dealer or read more regarding our products. We have also been featured on the Dr. Phil show. Our efforts to serve the disability community starts by designing the best product. It is important to ask a dealer or DME professional if you are making the right choice. When asking questions, please make sure you mention what is most important to you. The investment you make today will last you a lifetime. For instance, if you choose a low seat height, you can’t choose large wheels as the wheels will affect the seat height. Another example would be, if you choose 70 degree footrests you may not be able to choose 8″ casters. Often choosing the right configuration for a wheelchair is a seemingly long process. We know mobility equipment better than anyone else. We can help you through the entire process. From choosing a basic set-up, to having one with all the features you have selected. Contact us today for more information regarding our products. We will do our best to help you find the right product. If any of our dealers are not able to help you, please email us and we will be in touch with you shortly. Karman cares about all of customers nationwide. Your satisfaction is important to us. Most general questions about our products can be answered through our Frequently Asked Questions page. Our manual chairs are built with quality in mind. We know that you will have this product with you for the rest of your life and count on the quality lasting for many years. Check out our warranty page and see for yourself what others are saying. On certain product pages we also have reviews that provide feedback. We've been around for more than twenty years. We have a wide range of products that are suitable for your needs. For individuals with limited mobility, a manual chair is an essential piece of equipment to enhance their quality of life and provide freedom of movement. In the past, wheelchairs were heavy and cumbersome for users as well as caregivers and often lacked maneuverability. Today, thanks to advances in manufacturing and design, users no longer need to be competitive body builders to lift a wheelchair up a flight of stairs or into a car trunk. We have many intelligently designed wheelchairs on the market that are suited for wheelchair-bound individuals. We try to use aircraft grade aluminum on all of our products. Using a light material helps ease the weight of the frame. Our lower priced models may have a combination of steel and aluminum. But our best wheelchairs are made from aluminum. Regardless of what material we use, we strive to provide quality products. We understand your mobility needs. A nonelectric wheelchair should be stylish but also cost-effective. We do our best to find a balance of durability and price for our products. Check out our most popular products by weight on the left side of this page. Give us a call if you cannot find a wheelchair that has the features that you are looking for. We provide many options and accessories available as optional components for your wheelchair. 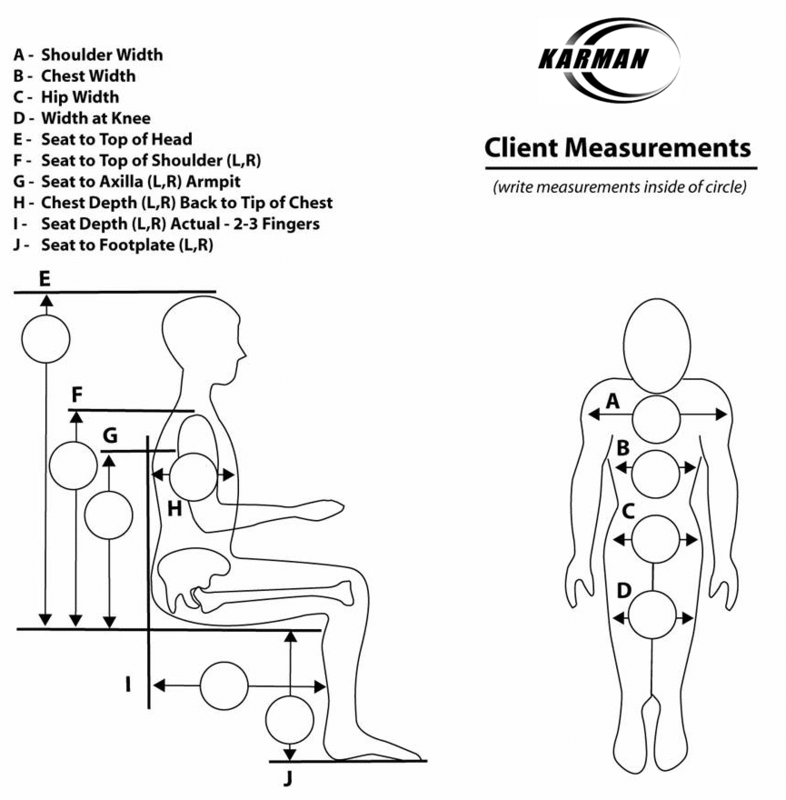 At Karman, we try to “bundle” and include as many beneficial features to our chairs so that your mobility experience can be enhanced to the fullest. We hope you find the right product through our large selection of mobility equipment. Our commitment to wheelchair excellence is vital to our company. To achieve this, we always try put our best foot forward. We recommend reading product reviews to find the best product. This may be an ultralight wheelchair, or an ergonomic wheelchair. You will find products that have the ultimate technology such as standing wheelchairs. Or you may just need a simple walker to help you with your every day living. Whatever is the case, Karman is here for you. Please check out all of our category products. Consult with a dealer or just call us. Manual wheelchairs are our specialty. Wheelchairs provide users with the mobility to propel themselves. They also allow a caregiver to assist with user mobility. We have spent over two decades designing wheelchairs and manufacturing them in our state of the art facility. Our specialty is lightweight manual chairs. They are typically under 30 pounds. But we also have some that are under 25 pounds. A light weight frame can help both caregivers and users. The benefits are tremendous. From ease of transporting, to being easy to propel. Finding the Perfect Wheelchair to FIT YOU is very important. That is why we have launched the new ERGO FIT™ Campaign based on proper Wheelchair Ergonomics, comparing and contrasting your body's needs, your Wheelchair Dimensions, and also balancing the environment where you will be enjoying your wheelchair. Whether it is an outdoor expedition, or ensuring that going up a ramp with the least amount of resistance, or being as comfortable as possible due to prolonged usage, our ERGO FIT™ provides a countless amount of options and accessories, or models with specific variations designed to maximize your mobility and comfort. RESOURCES - Each Product Landing Page has all the information pertinent to the product (e.g. HCPCS Codes, Dimensions, Literature, UPC, etc). If you would like to see every product listed by specs and details, please visit our Resources Landing page by clicking HERE. Durable Wheelchairs - What's the best material? What Type of Wheelchair Vehicle is Best For Me? If this is your first time looking for a manual wheelchair, you are in the right place. There also other websites you can reference with good information such as Wikipedia. We are here to provide you with the best information on our products. Finding a manual wheelchair is one of the most important investments. You can search by many factors. Some look at price. Whereas others look for weight. Everyone has a different preference. Manual chairs come in all kinds of shapes and sizes. Some manual chairs can go as high as 30 inches in width. Other manual chairs are only 14.5 pounds in frame weight. Not all brands have a wide selection of wheelchairs, but We have all types of wheelchairs. Take a look at our product videos before you buy. Our videos will give you more information about our products. This includes showing how a product folds, or how to tilt a wheelchair. Check it out on youtube.com/karmanhealthcare. Subscribe to our Youtube channel where We will notify you when there is a new video posted on our channel. It's also very important to learn about who will service your chair. Buying a mobility products is easy nowadays. You can buy a chair online with ease. Our official dealers typically offer free shipping. Buying online means that you do not have to leave the comfort of your home to purchase our products. You should give us a call if you have any questions. You may also find a local dealer through our dealer locator. We always make recommendations to our customers. Important factors when deciding to buy this type of device includes: weight class and product type. Manual wheelchairs generally have 3 different weight classes. Standard weight, lightweight, and ultralight weight. Self propelled chairs also have categories. This includes bariatric, recline or high back. Is there a medical condition? How does the user perform daily activities? Is the user independent? We have wheelchairs made for active users both young and old. All age groups may use manual chairs. It is important to first use a measurement guide. A Proper fit is the most important factor when buying a wheelchair. A mobility chair should be an extension of a person's body. Then we focus on comfort. Is the person now comfortable? Is there proper ergonomics? Is the person prone to slouching? Just like a normal person sitting on a desk at an office. Proper ergonomics are very important. After we have narrowed down those things, it's easier. We can then ask what products offer more benefits? Is there a lighter model? Or does the customer wish to save some money? Some manual chairs are only temporarily used. In this case, our experts may recommend to stay within budget. Other nonautomatic wheelchair users demand the best. Having a canopy or headrest does add cost. But at the same time, it makes your ride more comfortable. That's important to us. To find the perfect fit for you. Some users want a softer ride. Others know that a good seat belt is important. We sometimes receive custom orders. That's great! We want to help. It just takes good communication. Make sure to tell your dealer what you are looking for. We have customers of all ages. Not only that, we have customers with different conditions. That is why we have over 100 models. You can have one delivered to your door next day. Most of our dealers offer free shipping. Some dealers even offer 2 day free shipping. Each dealer has a special offer for the end user on a Karman product.